In San Diego, our no-fee programs provide the tools needed to overcome alcohol and drug dependence. The Salvation Army Adult Rehabilitation Center (ARC) provides spiritual, social, and emotional assistance for men who have lost the ability to overcome their addiction. Our center offers residential housing, work, and group and individual therapy, holistic environment. The physical and spiritual care that program participants receive prepares them to re-enter society and return to gainful employment. Many of those who have been rehabilitated are reunited with their families and resume life once again. Every potential participant undergoes a comprehensive intake interview to ensure the ARC program is the best possible match for them. If the interview process determines it's not, we'll make every effort to refer them to a program that will be. A long-term commitment of at least six months is required so patterns of poor decision-making can be broken and replaced with positive life choices, changes that will help them become productive citizens of their community. Applicants with a desire to get help may be referred by families, friends, courts, clergy and community leaders or may simply call the Intake Office to make an appointment or get more information about local ARC programs. *The Salvation Army's services are available without regard to race, religion or national origin. For many, The Salvation Army is the cure. For over 100 years, our Adult Rehabilitation Centers have offered spiritual, emotional and social assistance to those who have lost the ability to cope with their addictions and provide for themselves. The Salvation Army's no-fee program in San Diego provides housing, food, counseling, community and work therapy, as we work to combat the root causes and symptoms of prolonged alcohol and drug dependence. 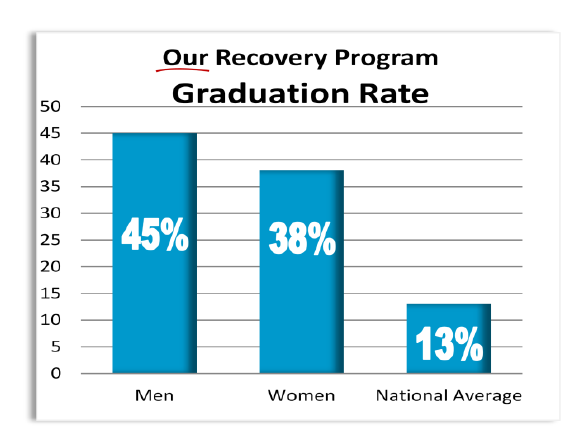 Each year, we help equip nearly 150,000 people across the United States to overcome alcohol and drug dependence. Here in San Diego, we focus on the following to help men and women combat addiction and prepare to reenter their communities whole and healthy again. We know that it's hard to sit by and watch your loved ones with addictions. You want to help and don't know how. You don't want to enable them, but you feel as though you are sitting idly by, watching them destroy their lives. They won't listen to you. They won't listen to anyone. In fact, they may not even realize yet that they have a problem. Much of their future is unsure, especially if they don't begin making good decisions. But one thing is for certain, and we are here to give it to you - and that is HOPE. Hope that they will overcome their past trauma. Hope that they will begin a new life, rooted with the strongest tools for recovery. Hope, that you again will have your daughter, son, sister, brother, mother, father, aunt uncle, friend back. Hope for a beautifuL life.